It goes without saying that your home is your primary and most essential asset; thus, keeping it at its best is of utmost importance. Installing exterior shutters and planter boxes is one of the simplest ways to give your home a facelift for added value; apart from the protection against severe or any unforeseen unfavorable weather conditions, security, and privacy that exterior shutters undoubtedly provide. And as you know, here in the Charlotte, North Carolina area, the storms can be pretty violent at times. Installing exterior shutters is indisputably one of the most cost-effective home renovations/refurbishments with the most stunning outcome. To attain a significant curb appeal, however; it’s crucial to pick reliable exterior shutters installation experts that deliver topnotch services. Fineline Millwork is definitely THE trusted company for such job. Not only do they sell a wide range of world class exterior shutters and other exterior home improvement products (decorative brackets and window planter boxes) all throughout the United States; they also provide installation services in Charlotte, North Carolina, as well as several other North Carolina area cities including Cornelius, Weddington, Mooresville, Huntersville, and Davidson. 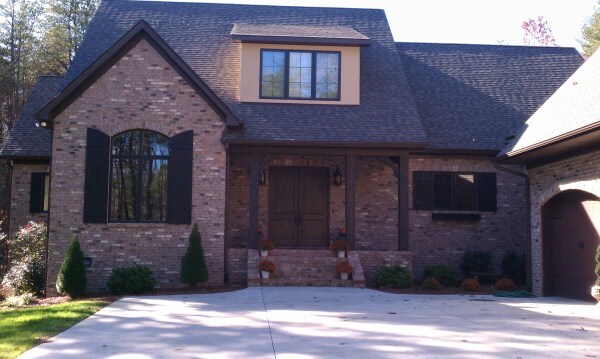 Because of its ideal and convenient location right in the heart of North Carolina (NC); Fineline Millwork is a perfect choice for residents looking for reputable exterior window shutters experts, especially in the vicinity of South Carolina (SC), Georgia (GA), Virginia (VA) and Alabama (AL). Choosing the right exterior shutter contractor is not always that easy; but Fineline Millwork provides the solution to your dilemma. They have all sorts of exterior shutters and exterior shutter installation options to suit all requirements and budgets. As a valued customer, you are guaranteed an informed choice with the wealth of information that the accommodating owner and staff always provide before you make the leap. Here are some distinct advantages of handing over your exterior shutters installation needs to the capable hands of Fineline Millwork. A Taste for Quality. All Fineline Millwork exterior shutters are made from the finest materials in the company’s own facility (no outsourcing or sub-contracting for you) and done by closely supervised highly skilled craftsmen; following the highest standard and strictest guidelines for premium quality finished products. No Hidden Costs. Some companies quote ostensibly low prices to get your interest hooked but you may soon find out that there are a lot of “extras” (e.g., measuring costs, additional trims, hinges/locks/catches, etc.) that you have to deal with in the long haul. With Fineline Millwork, you don’t have to worry about additional costs or add-ons catching you off guard. The price structure is so straightforward, comprehensive, and concise from the get go. They offer the most affordable, all-inclusive exterior shutter installation package offers; no hidden cost surprises. Reasonable Turnaround Time. Manufacture time and delivery may depend on how intricate your orders are; but conveyance of most orders (already made) is generally carried out within seven days. Quality exterior shutters need time and Fineline Millwork always gives a realistic timeframe upon placing your order – you are assured that there are no quick/rush jobs (along with unrealistic promises of fast delivery); neither are there any excessive delays that would make you wonder if they are ever going to deliver. Trouble-free Installation. Exterior shutters are made to measure; a slight difference in dimension can spell disaster as they are hard to alter once done. Think about the additional cost it may entail! The company’s highly knowledgeable staff sees to it that no mishaps of this kind ever occur by making sure that all measurements are accurate and precise. This assures a hassle-free exterior shutter installation. Open Communication Line. A reliable company is always gauged by its ability to communicate with the customer. Fineline Millwork has a competent staff willing and able to assist you with any concerns you may have, right from the start until after the purchase or installation. If you are looking for a dependable company to handle your exterior shutter installation needs; your search is over. Fineline Millwork is known to be a company of high integrity; absolutely the company to trust when it comes to home improvement. Your next best step to get the enhancements that add value to your home is to give them a call – NOW.